Another overdue post from my visit to the Food Cart Fest. I was looking for some carbs so I decided to try Reel Mac and Cheese. I finally figured out why they’re called Reel Mac and Cheese! Because they’re dishes are sort of movie themed! 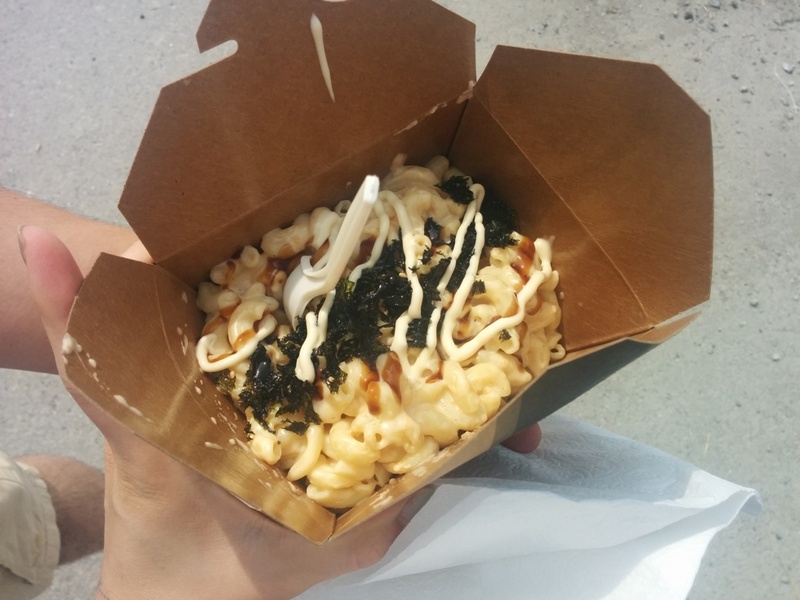 The Godzilla puts a Japanese spin on mac and cheese with roasted seaweed, Japanese mayo and teriyaki sauce. The mac and cheese was very creamy and I actually didn’t mind the Japanese mayo on top since before ordering it I thought it might be weird but hey it worked out. It was a nice savoury mac and cheese but not really too special to me or it’s not really how I like my mac and cheese. 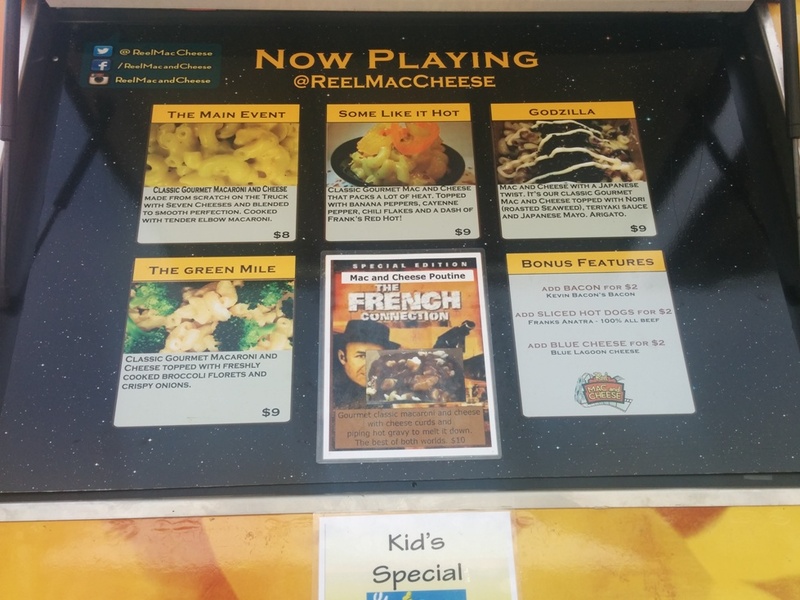 This entry was posted in Food Reviews, Food Trucks and tagged food truck, mac and cheese.